Professor Brendon Bradley of Canterbury University. 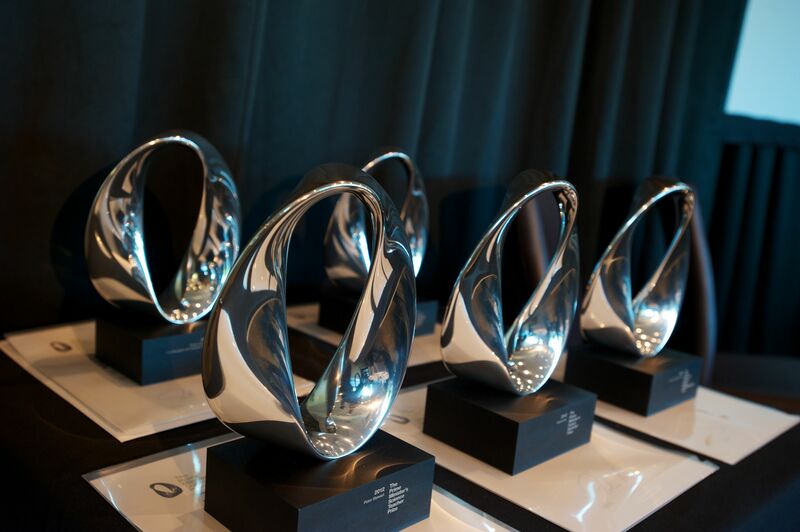 Professor Brendon Bradley, 30, from the University of Canterbury, has been awarded the 2016 Prime Minister’s MacDiarmid Emerging Scientist Prize. He receives $200,000, with $150,000 of that to be used for further research. His research is already being used to set new building design codes internationally, and places emphasis on more robust designs for buildings and infrastructure of critical importance, such as hospitals, telecommunications headquarters and office blocks that are occupied by large numbers of workers. Several major rebuilding projects in Christchurch are being influenced by his findings, with an expected trickle-down effect as these new, advanced methods of engineering become the norm. 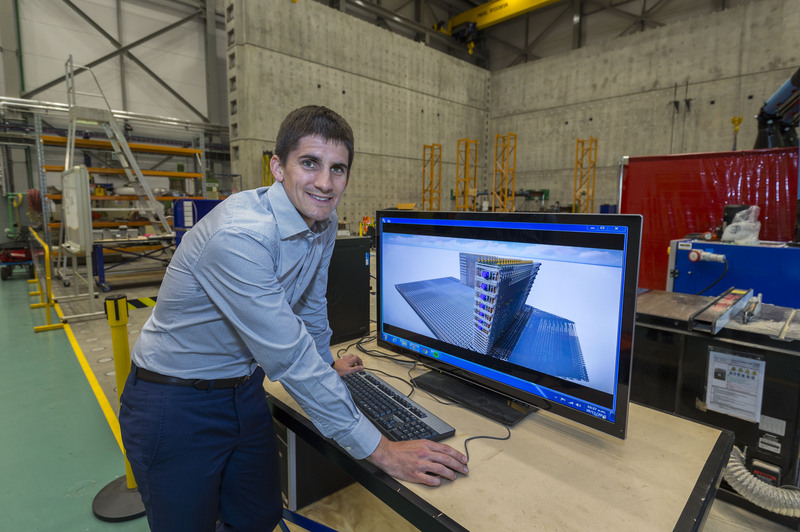 Brendon’s prize recognises his sophisticated seismic hazard analysis and assessment modelling, and pioneering ground motion simulation to identify and mitigate earthquake impacts. His modelling relies on physics-based data, examining the geological and geophysical properties of rock and soil at specific locations. This differs from traditional ground motion modelling, which is based primarily on observation and generalised information. Super computers are helping to revolutionise his research by completing in just one day, large-scale calculations and video animations in a day that could take up to five years on a laptop. The young civil engineer had limited, first-hand experience of earthquakes but within two years of completing his PhD, he had experienced both the Canterbury earthquakes and was in Tokyo during the magnitude 9 Tohoku Japan earthquake. Brendon believes New Zealanders should focus on the social and economic disruption of earthquakes. He says we should take some comfort from knowing that the high quality earthquake research he and his team are doing is among the best in the world. 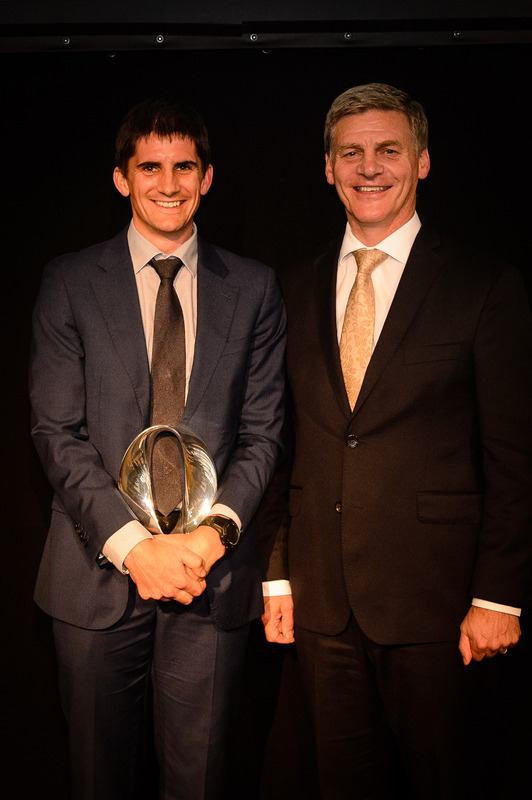 Brendon has received numerous national and international accolades for his seismic hazard analysis and his nomination for the Prime Minister’s MacDiarmid Emerging Scientist was judged only weeks before last year’s Kaikoura earthquake. That earthquake continues to highlight the important role of earthquake scientists and engineers in New Zealand. The selection panel were impressed with Brendon’s research and his ability to express its scope and impact in a highly accessible way. The panel felt that Brendon is a mature leader and well connected nationally and internationally. The panel also commented on the way that Brendon can communicate in a confident and effective manner over a range of disciplines. The international researcher is currently on sabbatical at Stanford University in California, where he is also collaborating with others in writing a text book that outlines the level of resilience required for buildings to withstand various earthquake magnitudes. The Prize was presented to Brendon at an award ceremony at Parliament on 21 March.